▷ Display the traffic bulletins from radio stations that broadcast the TI Traffic Information of a traffic information service. Information on traffic obstructions and hazards is updated continuously. An End-User shall no longer have the right to use the Traffic Data in the event that the End-User is in material breach of the terms and conditions contained herein. A. Total Traffic Network, a division of Clear Channel Broadcasting, Inc. (“Total Traffic Network”) holds the rights to the traffic incident data and RDS-TMC network through which it is delivered. You may not modify, copy, scan or use any other method to reproduce, duplicate, republish, transmit or distribute in any way any portion of traffic incident data. 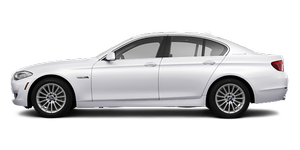 You agree to indemnify, defend and hold harmless BMW of North America, LLC. (“BMW NA”) and Total Traffic Network, Inrix, Inc (and their affiliates) against any and all claims, damages, costs or other expenses that arise directly or indirectly out of (a) your unauthorized use of the traffic incident data or the RDS-TMC network, (b) your violation of this directive and/or (c) any unauthorized or unlawful activities by you in connection herewith. B. Total Traffic Network traffic data is informational only. User assumes all risk of use. Total Traffic Network, BMW NA, and their suppliers make no representations about content, traffic and road conditions, route usability, or speed. C. The licensed material is provided to licensee “as is,” and “where is”. Total Traffic Network, including, but not limited to, any and all third party providers of any of the licensed material, expressly disclaims, to the fullest extent permitted by law, all warranties or representations with respect to the licensed material (including, without limitation, that the licensed material will be errorfree, will operate without interruption or that the traffic data will be accurate), express, implied or statutory, including, without limitation, the implied warranties of merchanta particular purpose, or those arising from a course of dealing or usage of trade. D. Neither Total Traffic Network, Inrix, Inc. or BMW NA will be liable to you for any indirect, special, consequential, exemplary, or incidental damages (including, without limitation, lost revenues, anticipated revenues, or profits relating to the same) arising from any claim relating directly or indirectly to use of the traffic data, and even if Total Traffic Network, Inrix, Inc., or BMW NA are aware of the possibility of such damages. These limitations apply to all claims, including, without limitation, claims in contract and tort (such as negligence, product liability and strict liability). ▷ The traffic bulletins are indicated on the map by symbols.<> ▷ The traffic bulletins for the surrounding area are stored in a list.<> The symbol in the function bar of the map view turns red if there are traffic bulletins that affect the calculated route.